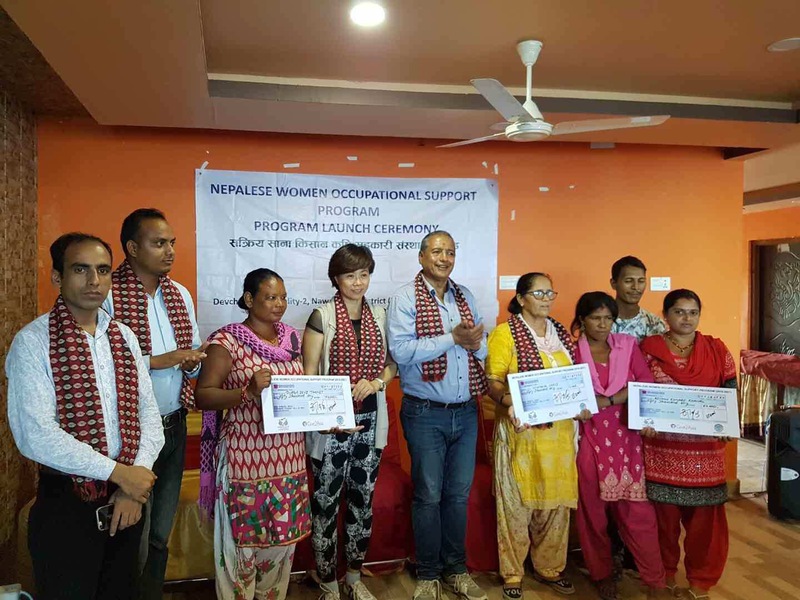 On September 20, 2018, China Foundation for Poverty Alleviation launched Nepalese Women Occupational Support Program in Devchuli municipality, Nawalpur district with itspartner Safa Sunaulo Nepal (SSN) and local women group Sakriya Sanakisan Sahakari Samuha. CFPA Nepal office is the first Chinese Organization working in Nepal. 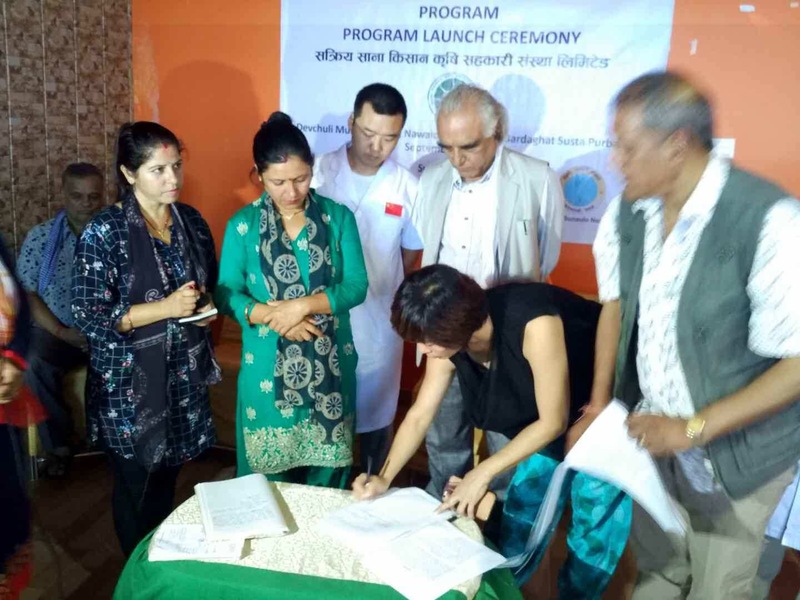 In the ceremony, SSN handover the seed money to Sakriya Sana Kishan Kirshi Sahakari Samuha and the agreement paper was signed by CFPA Nepal office, SSN andlocal cooperative Sakriya Sana Kishan Kirshi Sahakari Samuha. 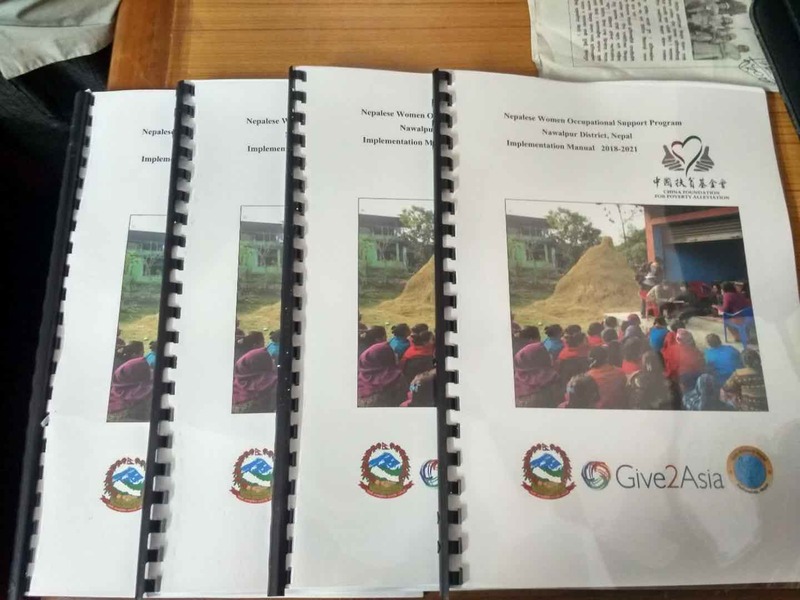 CFPA with the financial support from Give2Asia is starting now the “Nepalese Women Occupational Support Program” which will benefit about 400 farmers directly in Nawalpur (Bardaghat-Susta Purwa) District of Nepal. Through this trial operation, we will explore the way to introduce CFPA’s China micro-finance model to Nepal to improve the living conditions of Nepalese women affected by the earthquake and unemployment. The Microfinance Program is one of the most successful programs run by CFPA since 1996. We will try to integrate our best experience model into the program design, implementation and management.”says Zou Zhiqiang, the country director of CFPA Nepal Office. Ms Zou further added that “Sakriya Sana Kishan KirshiSahakari Samuha invests this money to poor group of women and our purpose is also to enhance their economic capability. To ensure the success of the program, we have established partnership with Safa Sunaulo Nepal to co-implement the program. Safa Sunaulo Nepal must use their all-social resources for successful implantation of our program. Then we will combine our rich domestic experience with the social network and expertise of the local NGO and professionals. We also appreciate the government agencies including the Ministry of Land Management, Cooperative and Poverty Alleviation, National Cooperative Development Board, Devchuli Municipality and District Finance and Cooperative Offices of Nawalparasi (Bardaghat-Susta Purwa) which has provided their valuable inputs for preparation of this program and our local partner SSN for providing us proper ideas, guidelines and regular support for program research”. On August 13, 2015, CFPA Nepal office was officially registered with Social Welfare Council Nepal as being the first Chinese Civil Societies Organization after 4/25 Nepal Earthquake-2015. In post disaster recovery stage, CFPA Nepal office has completed seven projects such as School Reconstruction and School Support Program, Computer Lab and Career Support for the Blind and Physically Disables, PostDisaster PsychologyCounseling, Hepatitis B+ Screening and WASH program with the support from Chinese people. In WASH program in earthquake affected area, impacted school and communities get support of toilet, water tower, water taps and training for more than 1,000 women and children regarded awareness of hygiene and sanitation in Kathmandu. China Foundation for Poverty Alleviation conducted Hepatitis B screening in the Pokhara region of Nepal. A total of 50,000 people from 49 health posts were screened, which was the first international Hepatitis screening project performed in Nepal by any international NGO with large number of people and wider coverage area. CFPA has also launched the school supplies program and distributed more than 8000 bags and stationary to the students of different districts and computer support program to the people with disability in Kathmandu, Dolkha, Lamjung and Pokhara which benefited nearly 3000 people with disabilities in six special school and center. CFPA Nepal office’s relief and recovery programs have helped about 246, 000 Nepali people spread across 14 districts in Nepal. In the Future (2018-2020) CFPA will focused on the Youth Vocational Training Program. With the Chinese people’s support in WASH program and Education Support Program more than 50000 people will be benefited.